Back in the commercial heyday of both the Scorpions and Megadeth, the idea of the two bands touring together would have seemed ludicrous. Certainly there were people who were fans of both, but Scorpions’ greatest success came when the German rockers started delivering power ballads like “Wind of Change” and “Still Loving You” alongside more aggressive hits like “Rock You Like a Hurricane” and “No One Like You.” Balladry was anathema for Megadeth, one of the “Big Four” bands of thrash-metal pioneers (alongside Metallica, Anthrax and Slayer), and the group led by Dave Mustaine still prides itself on rapid-fire riffs and mosh-pit-ready rock. The Scorps are now 52 years (!) 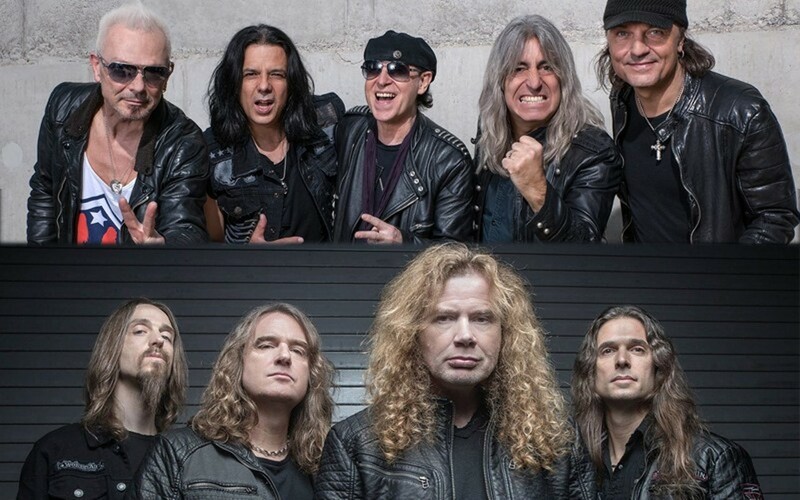 into their existence and Megadeth 34 years into theirs, and together they make the kind of double bill sure to thrill old headbangers who’ve lost the need for divisive labels among their hard-rock and metal heroes.